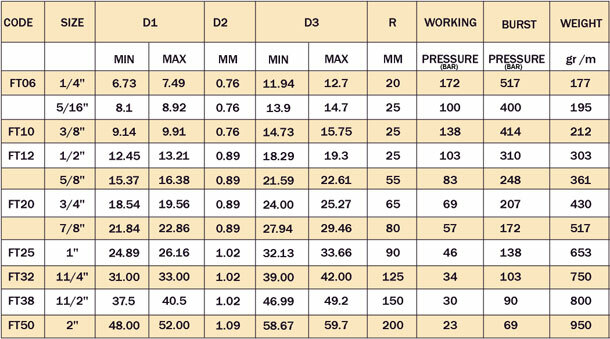 Note -The above pressure ratings are at working temperature of 20 Deg .C. 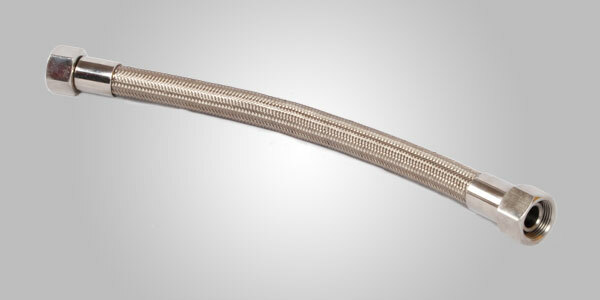 Teflon Hoses are basically PTFE Hoses made up of PolyTetraFluoroEthylene which is commonly known as Teflon. 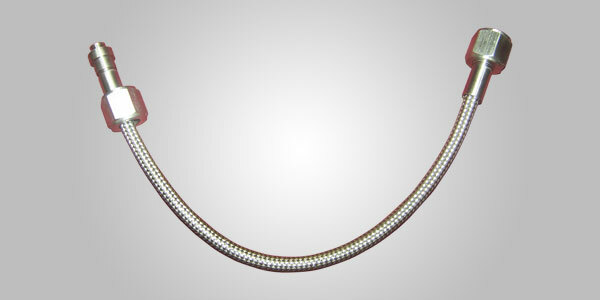 These hoses are very thin pipes which are mostly covered with a protective stainless steel hose which serves as a protective layer on Teflon hoses. 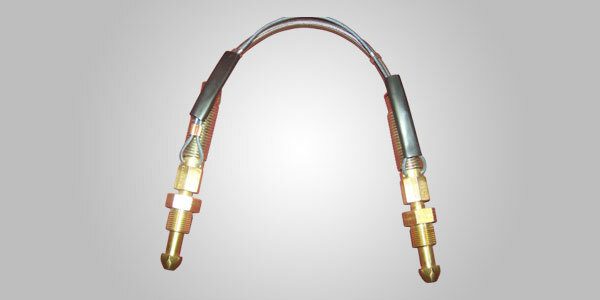 Teflon hoses are used for various purposes however its main purpose is solved in medical industry and food industry to transfer gases like oxygen or other gases and to transfer various chemicals except chemicals with elevated temperature as it may damage the Teflon. At Flexotech Products we manufacture Teflon hoses which are widely accepted and are known for the host of qualities they possess. 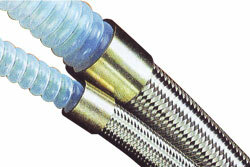 Our hoses are generally covered with a stainless steel metal hose pipe which serves as a protective shield for Teflon hoses; these hoses can easily bear the temperature ranging up to 260 degree Celsius, they are highly flexible, it has ability to absorb high vibrations, they are non sticky which makes it very easy to clean, are non flammable, are long lasting having good mechanical life and it has a good resistance towards ultra violet radiations. We boast upon our Teflon hoses being approved by Food and Drug Association (FDA) which makes it approved to be used in cosmetic and pharmaceutical application. 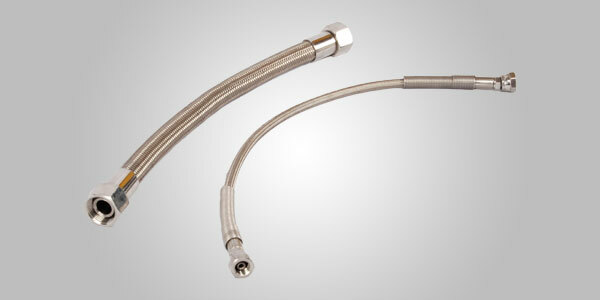 Plain ptfe tube (polytetrafluorethylene) liner with AISI 304 high tensile, stainless steel braid. Virtually resistant to all chemicals, except molten alkali metals or halogens of elavated temperature. Temperature range : 70 Deg.C. TO 260 Deg.C. 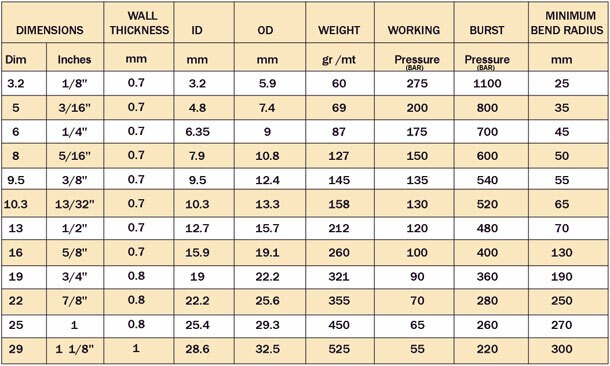 Note –The above pressure ratings are at working temperature of 20 Deg .C. 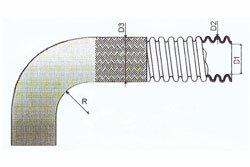 Low profile helically convoluted ptfe (polytetrafluorethylene) liner with AISI 304 high tensile, stainless steel braid. Virtually resistant to all chemicals, except molten alkali metals or halogens of elevated temperature. Non aging and very good U.V resistance.